Critical Path…It sounds like the most important path of the project. It is certainly the most important path, but at the same time it is also one of the most important concepts of the project management. You would already know that the importance of Critical Path is not because of the difficulty or the complexity of the project activities. However, many people do not know that. It is not at all surprising as most important project activities are usually determined by their difficulty and complexity. There are many similar fallacies related to the Critical Path Method. Let me try to clear some of these confusions. I will not go into the details of Critical Path Method in this post. I am assuming that you already understand what Precedence Diagramming Method (PDM) is and you can solve a network diagram to determine the Critical Path. I will use this post to clarify the doubts around the Critical Path Method. Let us take a critical (if I may say so) view of the Critical Path Method. What is the definition of Critical Path? Definition I – Critical Path is the longest path to complete the project in shortest possible duration. Definition II – Critical Path is the network path having activities that have least Total Float. You can also refer to Max Wideman’s Glossary to look at some other definitions of Critical Path (CP). What is the definition of Critical Activity? An activity on the Critical Path is called a Critical Activity.You can also refer to Max Wideman’s Glossary to look at some other definitions of Critical Activity. Which method should be used to determine the CP – 0 or 1 method? It does not matter. The CP and its duration will remain same. You can refer to my article 2 Ways to Perform Critical Path Analysis to understand in detail. Why is the CP most important path of the project? We already know that CP is longest of all the paths. The Critical Activities have least Total Float, which means that there is no flexibility. If a Critical Activity gets delayed, then the whole project is likely to get delayed. Hence, you should put more energy & focus on the CP and monitor it closely. How is CP longest and shortest at the same time? CP is longest of all the paths. All the other paths are shorter than the CP. In our example, the duration of A-D-E is longer than the duration of each of the other two paths. CP provides the shortest duration to complete the project. A project is completed only after all the activities on all the paths are completed. Since CP is longer than the other paths, project can be completed only after the Critical Activities are completed. Hence, the duration of CP is the minimum (shortest) duration that is required to complete the project. Can a project have multiple longest paths? Yes. Two or more paths can have equal duration that is longer than the each of the other paths in the project network. What is a non-Critical Path? What is a non-Critical Actvity? All the paths, other than CP are called non-Critical Paths. All the activities on non-Critical Paths are called non-Critical Activities. What is a near-Critical Path? A path that has a duration very close to the CP is considered as the near-Critical Path. What will happen to the CP, if a non-Critical Activity gets delayed? CP is always current point forward. Activities that are already completed are not considered for the CP calculations. So, a delay in a non-Critical Activity can potentially create a new CP or modify the existing CP. Can a near-Critical Path become a Critical Path? Yes. If any activity or a set of activities on the near-Critical Path gets delayed to make it equal to or longer than the current CP, then near-Critical Path becomes the Critical Path. So, as a PM, you should closely manage both Critical and near-Critical Paths. As per the definition CP activities have least Total Float? Shouldn’t it be zero Total Float? Critical Activities can have either negative or zero Total Float. Ideally, the Total Float of a Critical Activity should always be zero. However, it can become negative in two situations – due to fast tracking the activities on the CP to meet the schedule constraint or due to delays in the execution of the Critical Activities. The CP becomes more critical in case there is a negative Total Float. What is the Free Float of Critical Activities? Zero. Critical Activities will have zero Free Float in normal circumstances. Any delay in Critical Activities will delay the project. Should Critical Activities be considered as Threats? Yes. But, beauty is in the eyes of the beholder. You can consider them either as a Threat or as an Opportunity. If you can complete a Critical Activity early, then you can potentially reduce the duration of the project. Is it possible to reduce the Threat or increase the Opportunity related to the CP? Yes. You can find ways to do so by analyzing the Critical Activities. Some of the popular ways for doing this are assigning more experienced people or using a better technology. Would it be useful to add buffer to the Critical Activities to increase the chances of success? Yes. It is a favorable method to reduce the threat, provided the defined schedule constraints are not impacted. Would it be useful to add buffer to the non-Critical Activities? Usually no. Non-Critical Activities already have some Total Float. Should buffers be added to all activities on the CP? Ideally no. Instead you can play with a path buffer. You can apply principles of the Critical Chain Method on the CP. What is critical Chain Method? It is safe to say that Critical Chain is a resource-constrained CP. In Critical Chain Method a dummy buffer activity is added at the end of the Critical Chain. Critical Chain defines a few other types of buffers also. One last question – What is the CP for the PMP Exam? 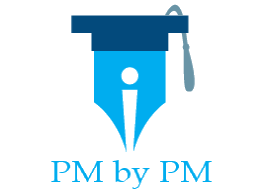 How much time is required for the PMP Exam preparation? I think you should determine your CP soon. Do you have any other questions in mind? Please leave them as a comment. 19 is an odd number but it covered more than my curiosity. Nice article. Great insights on CP. Well, having mutiple critical paths is good or bad from PM perspective? If an activity on critical path gets delayed or about to get delayed then thinking of adding the project float as 1st option is a better option than crashing the other subsequent activities. Hi Ashvini, Float is never added. It is found out (calculated) after doing forward and backward pass.